With The Hobbit: The Desolation of Smaug now only about two months away, Warner Bros., New Line and MGM are really ramping up their marketing for the film, and today that continues with this brand new banner courtesy of the movie's official Facebook page. Unfortunately, it's such a massive banner that it's nearly impossible to appreciate it when shrunk down to a smaller size. So let us break down the image for you! In the first section of the poster - going from left to right - we have Gandalf the Grey, the great wizard portrayed by Sir Ian McKellen. In the first film he was seen not only helping Bilbo and the band of Dwarves on their journey to recover a stolen treasure, but also dealing with a growing evil known as the Necromancer who could be a serious threat to all of Middle-earth. 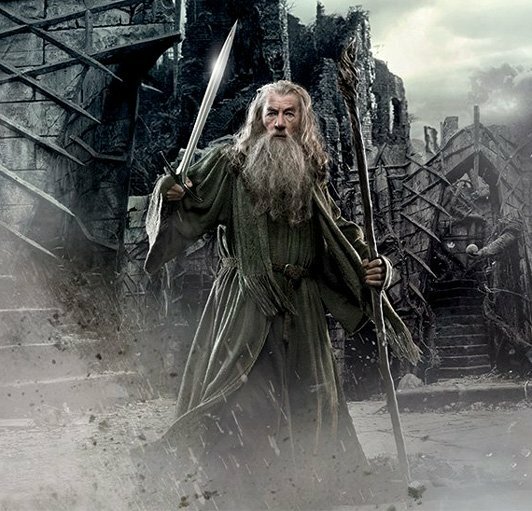 Armed with a staff and Glamdring, his trusted sword, this image makes Gandalf look like he's ready to take on both missions in the sequel. 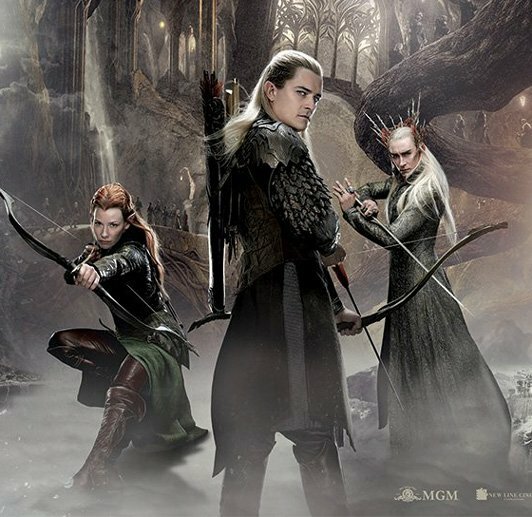 Next up we have a trio of elves who play a very important role in the story of The Hobbit. In the middle, of course, is Orlando Bloom's Legolas - who you will remember from the Lord of the Rings movies - but he's surrounded on both sides by new characters. On the right side is the Elven King Thranduil, as played by Lee Pace, who we actually got to see for the briefest of moments at the beginning of The Hobbit: An Unexpected Journey. On the left side we have Tauriel, the elf played by Evangeline Lilly who was created specifically for the film adaptation of J.R.R. Tolkien's novel. 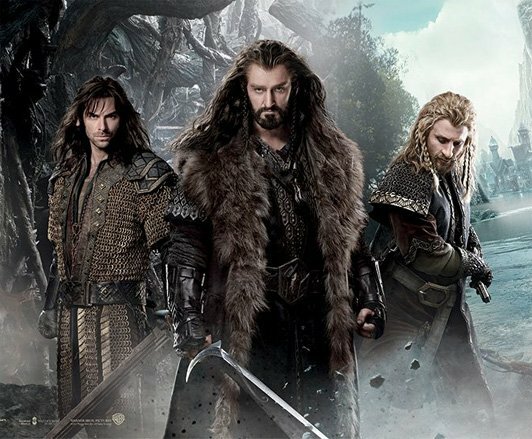 Then there's the dwarves that both Gandalf and Bilbo are helping, represented here by Thorin Oakenshield (Richard Armitage), Kili (Aiden Turner) and Fili (Dean O'Gorman). As we learned in the first film, they are on a quest to both return to their home in the side of the Lonely Mountain and recover the treasure that was stolen long ago from them by the great dragon Smaug (Benedict Cumberbatch). They look as determined as ever here. Finally there's yet another new introduction to be made on behalf of Middle-earth. 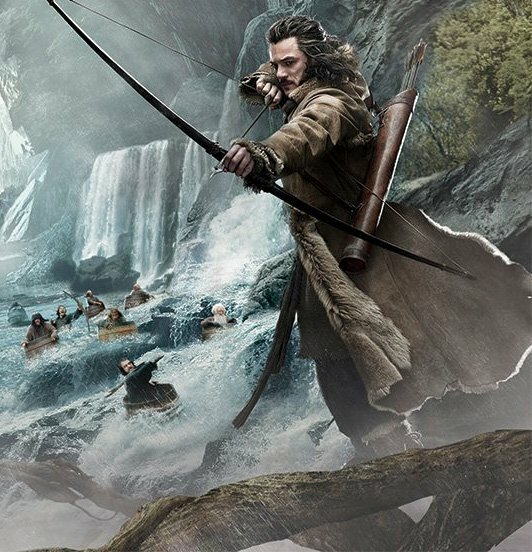 The final section of the banner is dedicated to Bard The Bowman, the character from the novels portrayed by Luke Evans. For those who haven't read Tolkein's book I won't go into too many details, but let's just say that Bard plays an incredibly crucial role in the story. 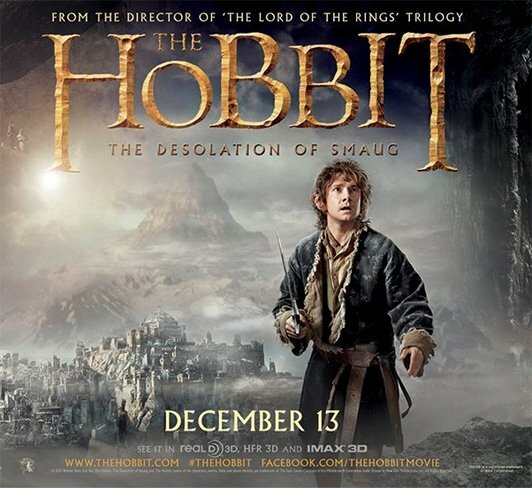 The Hobbit: The Desolation of Smaug will be in theaters on December 17th.